Being from a family with interests in sailing and an appreciation for nature means I grew up going to various beach towns as a child. Now that I am older, the fun of travelling to these towns is even greater, as I can try local cocktails, appreciate local art galleries, and cherish the time I spend with my parents. My favorite memories are from the beach, and I hit a lot of milestones at beach locations as we practically lived year-round at our family OBX house (lost first tooth, learned to ride bike, etc). My Dad’s parents owned a home in Corolla when I was a child. My grandfather purchased it in 1991 and we owned it until 2003 (when I was a freshman in college, sigh…) – when they couldn’t take the “Yankee takeover” any longer. They were also increasing fees in a way that was not good business sense for those with “smaller” homes like ours (4BR being unheard of there now, really) and rented it to a few people on selected weeks during the peak season. My Dad’s cousin owned a condo complex in Panama City, FL, which we visited, too. Panama City is where my family had a shipyard which built Liberty ships during the war, and a lot of my family either lived here, or grew up here at some point – including both of my Dad’s parents! My Grandparents ran a hotel on Key Biscayne for many years, which they sold before I was born, which was called the Galen Beach Hotel. They sold it to Sheraton and was renamed the Royal Biscayne Hotel before Hurricane Andrew. The current location of the hotel and some of its outside facilities are used by the Ritz Carlton Key Biscayne on the same property. While in the Miami area, they lived in Coral Gables, FL at this time in a beautiful section which George Merrick designed in the 1920s. They love talking about that hotel, as it was a really fun time for my family. 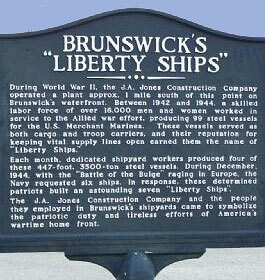 During WWII, my grandfather lived outside of Brunswick, GA, while my great-grandfather ran the Liberty shipyards in Brunswick and Panama City, FL. 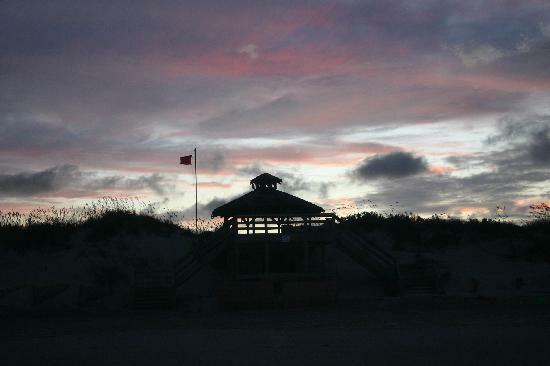 So St. Simons has always been special to them. I went to Camp Seafarer as a girl. This camp is located on “the Crystal Coast of North Carolina” and it is located in Arapahoe, NC, across the Neuse River from Cherry Point base. We would frequently visit New Bern, Oriental, and Morehead City with camp or as a family before and after my month-long session. When I worked at Seafarer I loved travelling around this part of the coast. My Dad’s cousin has a house on Kiawah Island, and that place is gorgeous. It is populated, but the developers have laid it out so it doesn’t seem like it. You never worry about locked doors or dressing up here, which is the way I like my beach experience! Where did you enjoy going for beach trips when you were young? Where do you travel to now? I used to go to Kennebunkport, Maine every summer with my family… I love it there and still try to go at least once a year. I definitely miss being a kid and having nothing to do all summer but hang out at the beach! !